Home » Block Data Manager » Govt Jobs » Govt Jobs 2015 » Jobs for Block Programme Manager » Jobs In Bhubaneswar » Jobs in National Health Mission. » Block Programme Manager/Block Data Manager jobs in National Health Mission (Govt. of Odisha-Ganjam District) in Bhubaneswar. 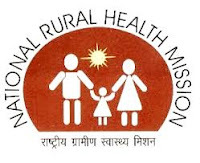 Block Programme Manager/Block Data Manager jobs in National Health Mission (Govt. of Odisha-Ganjam District) in Bhubaneswar. Age : 21-35 Years as on 01.08.2015. O & G Spl. Pead. Spl. The candidates who are interested may apply to the office of the, C.D.M.O. Gajapati, Paralakhemundi, Odisha by registered post/ speed post only, along with attested photocopies of all necessary certificates and a passport size photograph on or before 03rd September 2015 latest by 5.00 PM. Labels: Block Data Manager , Govt Jobs , Govt Jobs 2015 , Jobs for Block Programme Manager , Jobs In Bhubaneswar , Jobs in National Health Mission.